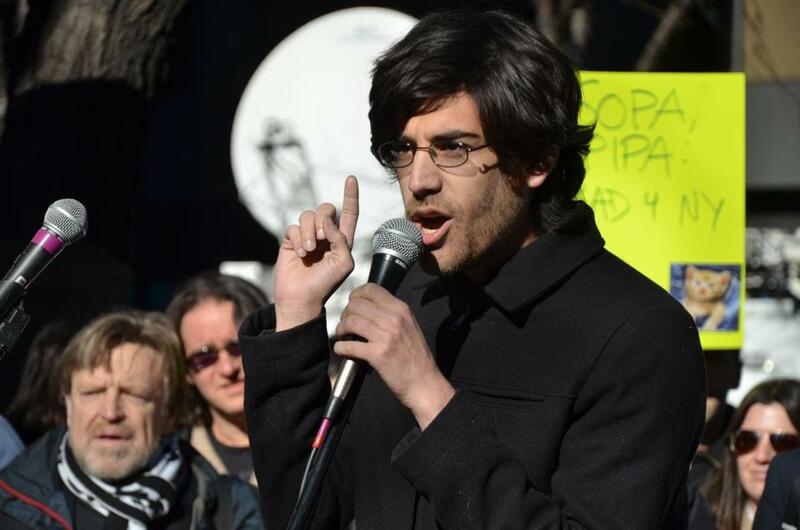 Aaron Swartz was accused of hacking into the MIT network and illegally downloading nearly 5 million documents. Holder contended during a Senate Judiciary Committee hearing that those who have denounced the prosecution focus too much on the charges levied against Swartz while overlooking his offered plea deals. The activist had been charged with 13 counts of felony hacking and faced a maximum of 35 years in prison along with a $1 million fine. The Internet and activist communities claim that an overly aggressive prosecution of Swartz contributed to the 26-year-old’s decision to take his own life in January. He was arrested in Boston in 2011 after allegedly hacking into the Massachusetts Institute of Technology network and illegally downloading nearly 5 million documents from JSTOR, among the largest online databases of scholarly publications. At the time, he had been a research fellow at Harvard University’s Safra Center for Ethics. Senator John Cornyn of Texas led the questioning, echoing many observers who claim Swartz’s case is emblematic of systemic over-aggression in the criminal justice system. “I’m concerned that average citizens, if you can call them that, like Aaron Swartz, people who don’t have status and power, perhaps, in dealing with the federal government, could be bullied,” Cornyn said. Representative Darrell Issa, chairman of the House Oversight Committee, said last week that his committee would broaden its investigation of the activist’s prosecution to include information from Swartz’s lawyer, MIT, and JSTOR. The activist first rose to fame as a computer programmer, co-founding a popular user-generated news site called Reddit and helping develop Creative Commons and RSS, a feed service that updates online content. Over the past few years, he took his knowledge of Internet tools to mainstream progressive causes and pioneered web-based grassroots political organizing. Despite outcry from the activist community, legal scholars differ in their analyses of whether Swartz’s prosecution was out of line. Nearly all, however, agree the 1986 law under which he was prosecuted must be better tailored for the digital age. Reform legislation - dubbed “Aaron’s Law” - has already been drafted and will be introduced on the House floor in the coming weeks. “We need Congress to come to a more mature place in its understanding of technology,” said Cindy Cohn, legal director of the Electronic Frontier Foundation, an Internet advocacy group. The reform faces an uphill battle in a Congress increasingly wary of cybercrime and cyberterror. Nevertheless, Swartz’s death has changed the way lawmakers talk not only about the Internet, but also criminal justice as a whole, contended Matt Stoller, a close friend of Swartz and policy advisor to Representative Alan Grayson of Florida. David Uberti can be reached at David.Uberti@globe.com. Follow him on Twitter @DavidUberti.